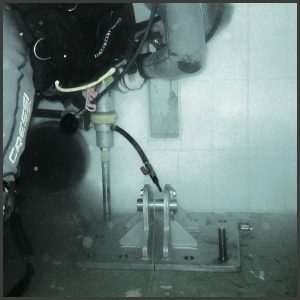 Diamond Core drilling can be completed underwater or at the deck level. It is a varied aspect of pool repair because there are many different areas in which it is used, such as taking core samples to determine the quality of the screed/concrete within the pool tank or coring for the purpose of installation e.g, anchor points, steps and starter blocks. Pool Diving Solutions Ltd is an established Manchester based company; our central location affords us good access links to the rest of the UK. Our objective is to provide our clients with a safe, cost effective and skilled solution to their commercial needs.